Get everything you need in one place. The Mini Three-In-One Lobby Master is the complete setup. You have all you need to start making sales. You start with popping popcorn and then you can coat the popcorn with cheddar savory flavor. You just put the popped popcorn in the tub of the cheddar easy shop combo add the savory flavor of your choice, let it mix and coat. Then just pull the divider out and the coated popcorn drops into the display case. You also make caramel popcorn by putting of free n easy to keep from sticking. Dump into the Karmel Kool Tray System for quick drying. 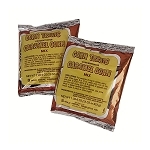 You can also use any of the corn treat mixes in the caramel cooker. 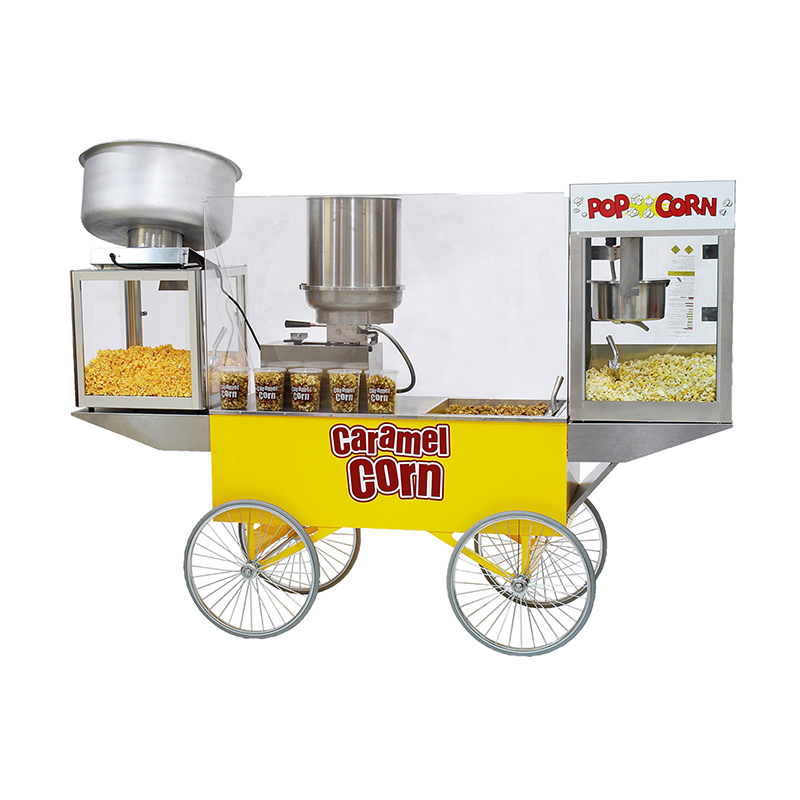 Put this wagon out on the football field, create the school colors in your product and watch it fly.